Four years had passed since returning from the original adventure and more than a year since the release of the first award-winning film. All the while, the team stayed busy. From starting businesses to bounding about the Banff backcountry, vagabond ski adventures to volunteering through Thailand and Haiti, and motivational speaking to Mount Kilimanjaro. But Ryan, Ethan, and Jonathan never gave up on their dream to finish writing the BTP story and make it to Denali. The guys, along withCrystal mountain-based splitboarder, Jake Willson, headed north to Alaska on June 4th, 2017 and have since returned safely from the mountain. The follow-up Between The Peaks film is now in post-production. 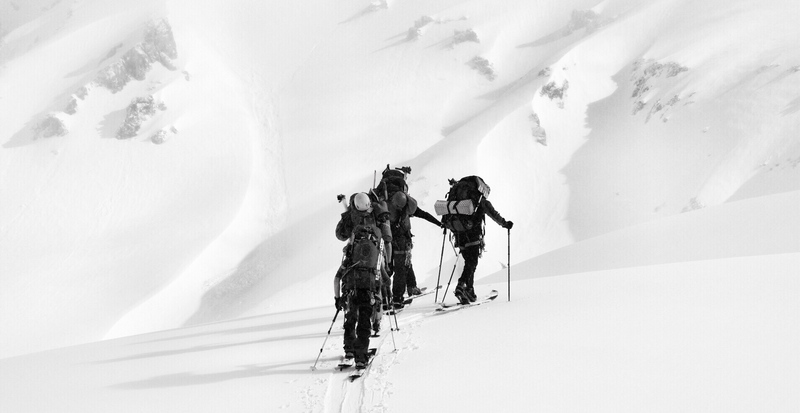 Their aim was time to climb and snowboard North America’s highest mountain, Denali. Sitting mighty at 20,310 feet, just 3.5 degrees shy of the Arctic Circle, this mountain would not be without its unexpected challenges and the drama captured along the way was intense. An action packed inspirational journey with impactful messages and humble motivations, be sure to follow along across the team’s respective social media channels, the Between The Peaks Facebook page, and posts on Explore Inspired to catch all the happenings in this story from Argentina to Alaska. The film is expected to reach festivals in 2018.